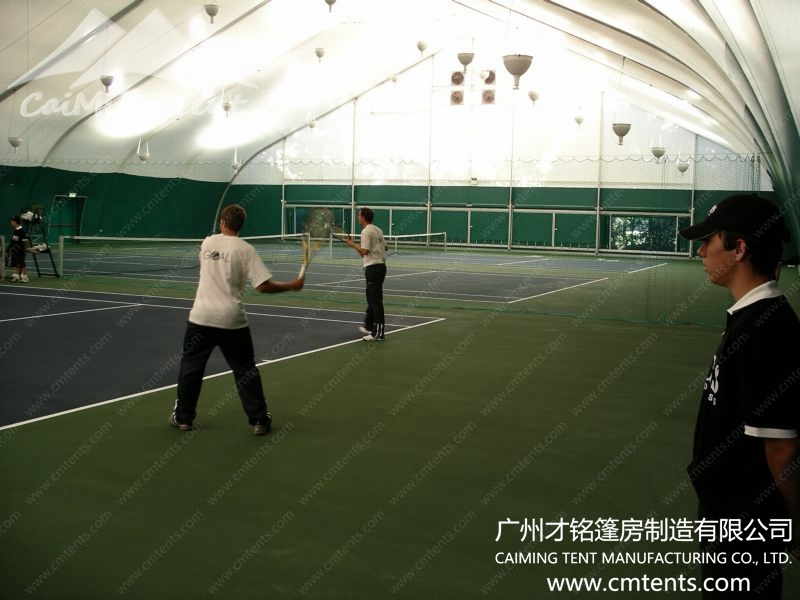 more interrupted games due to rain and heat, and players and public can enjoy this popular sport in absolute comfort. 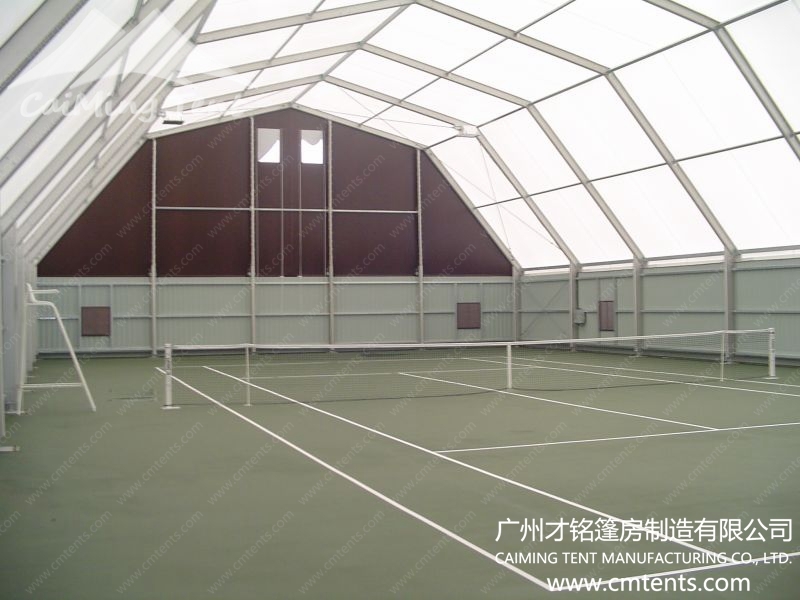 Our translucent roof and upper walls lead to great glare free light quality and keep energy bills low. 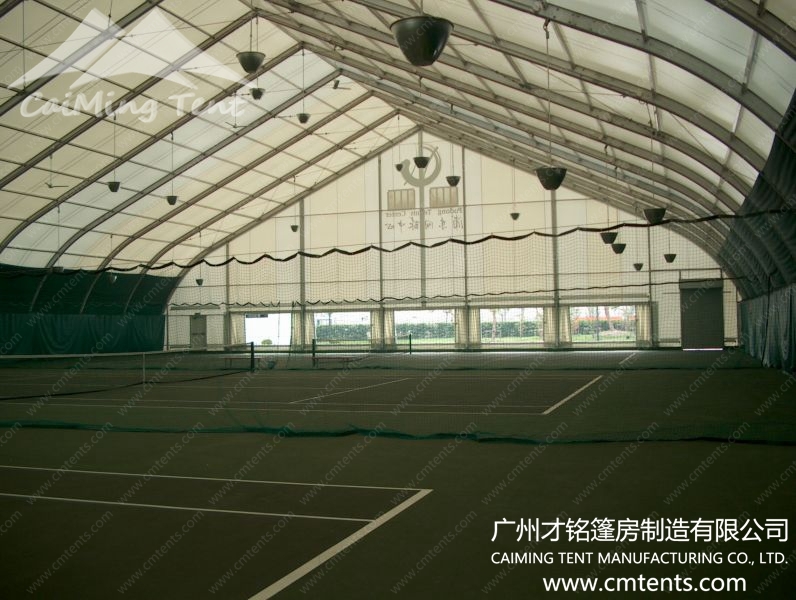 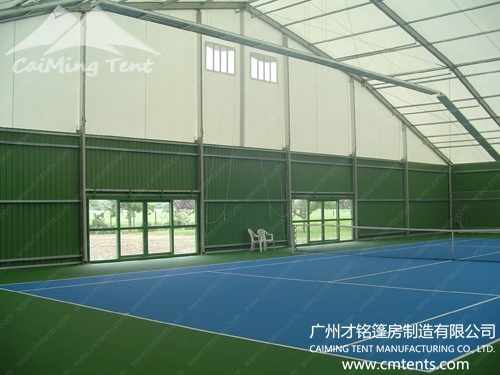 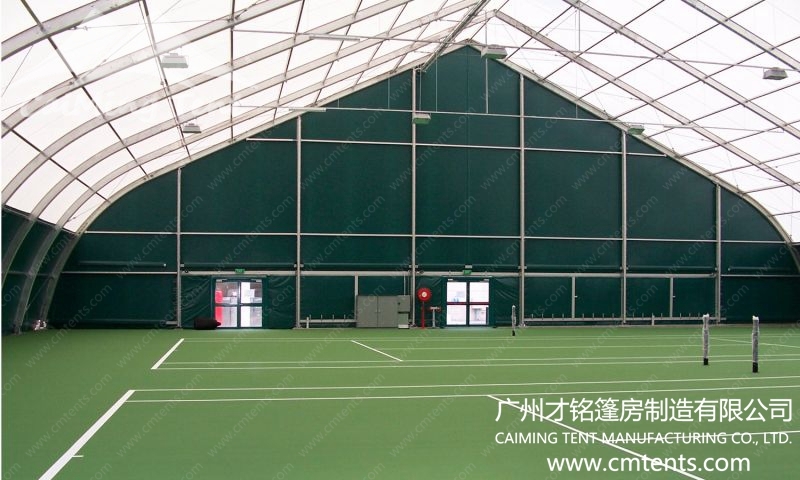 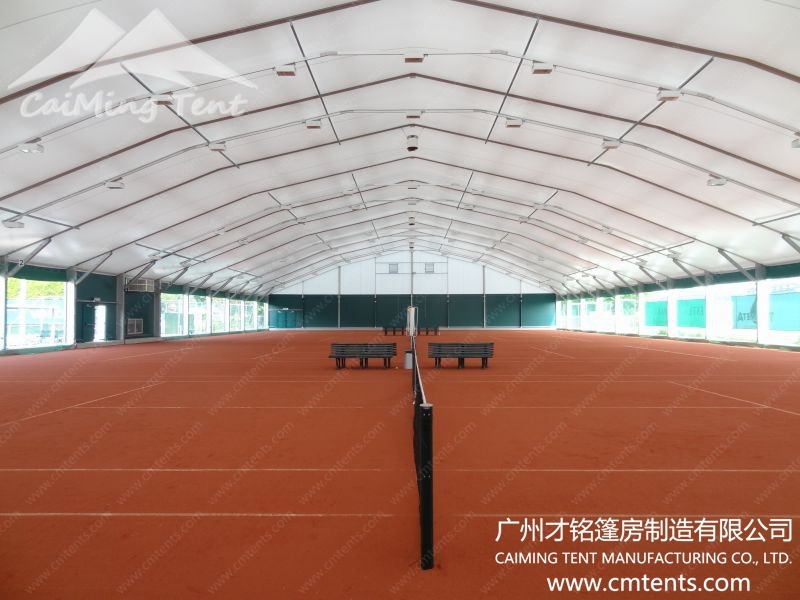 The tennis tent structures and halls can be quickly assembled on top of new or existing facilities. 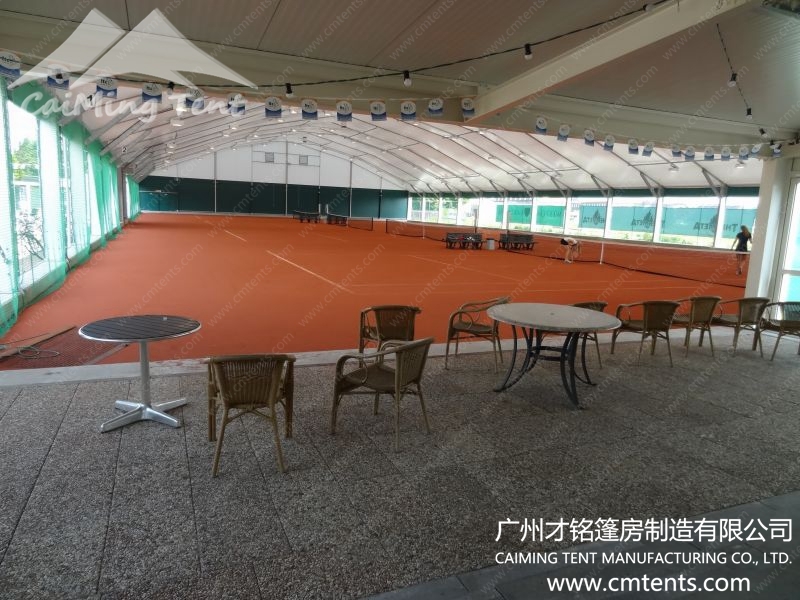 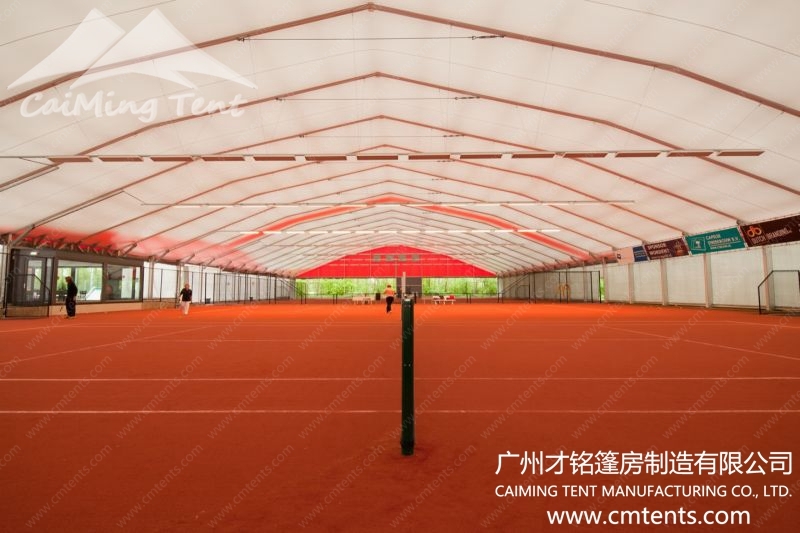 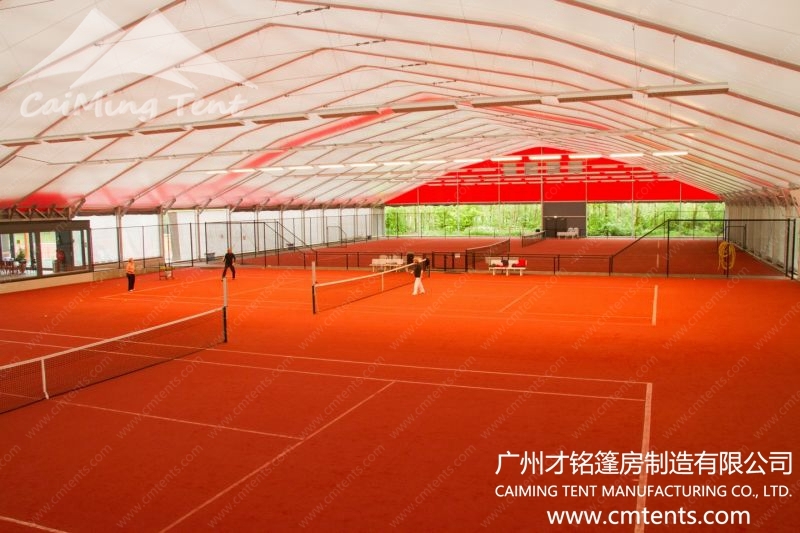 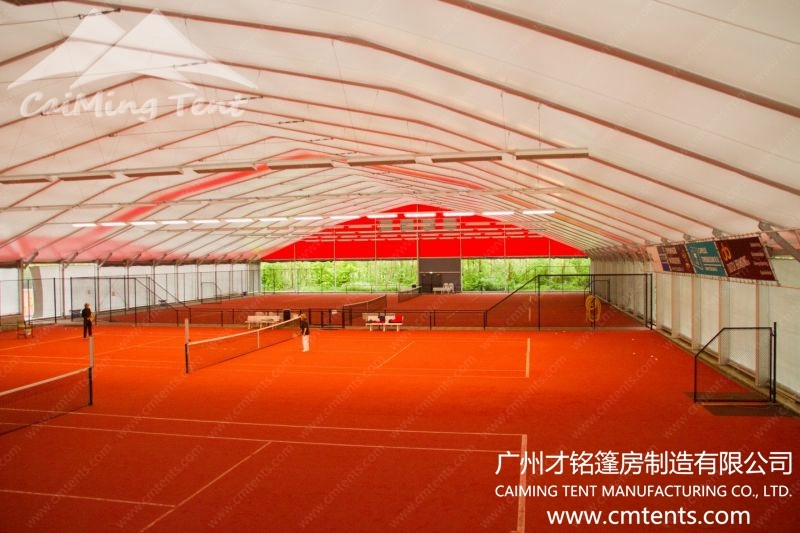 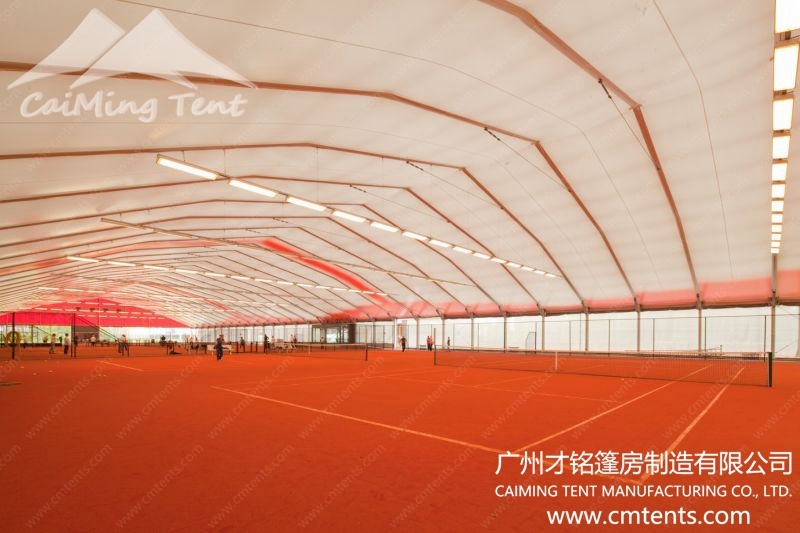 Our Polygon Tents and Curved Tents are very ideal for tennis courts because of their spacious inner space and towering heights. 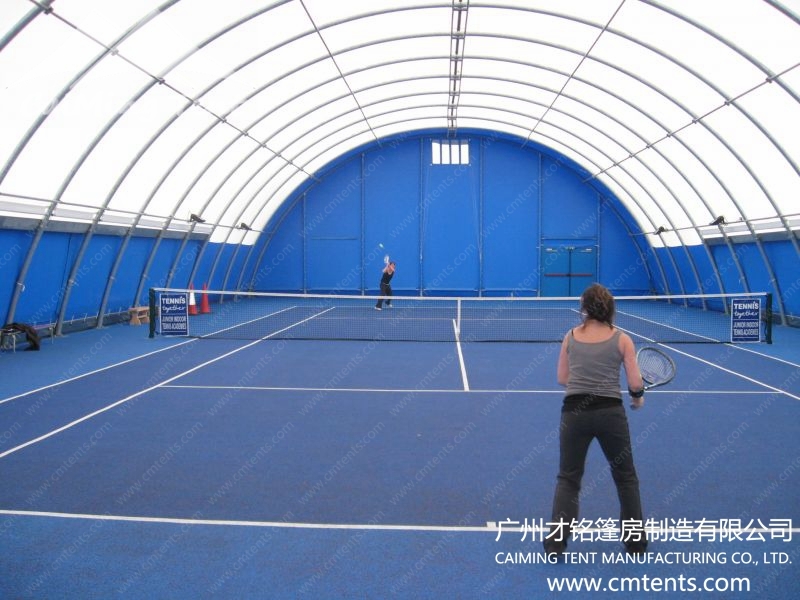 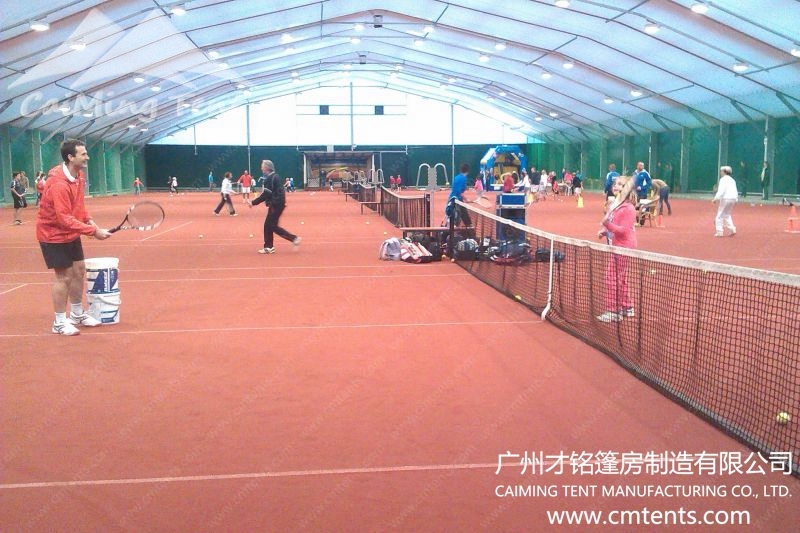 Contact us for more info about our tennis buildings/tennis halls/tennis shelters/tennis tents/tennis marquees. 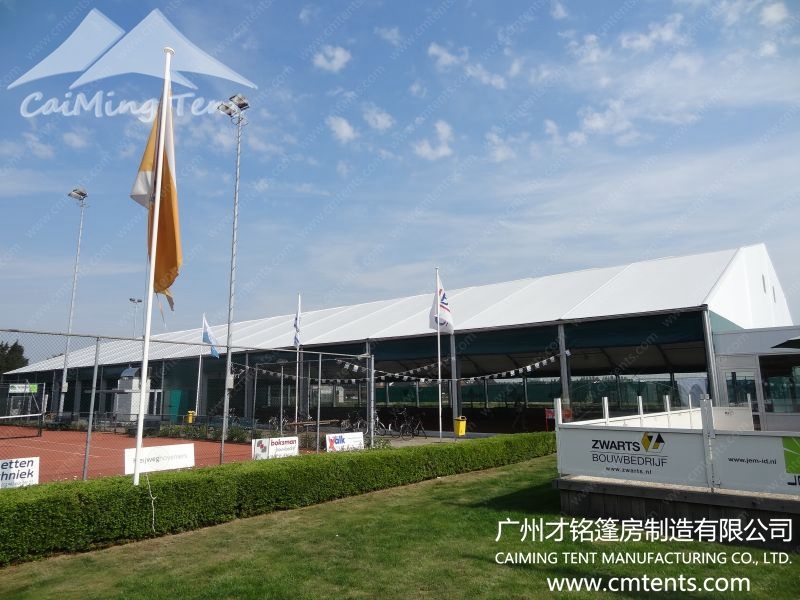 We are the leading manufacturer and supplier of large event tents and temporary structures.The sports event tents can be used as lounges, hospitality venues, reception area, patron’s pavilions, media centers, open verandas, temporary kitchens, official changing rooms, retail outlets, etc.Whether you are hosting a one-off event, or looking to expand the size of your venue on a temporary or semi-permanent basis, We can help. 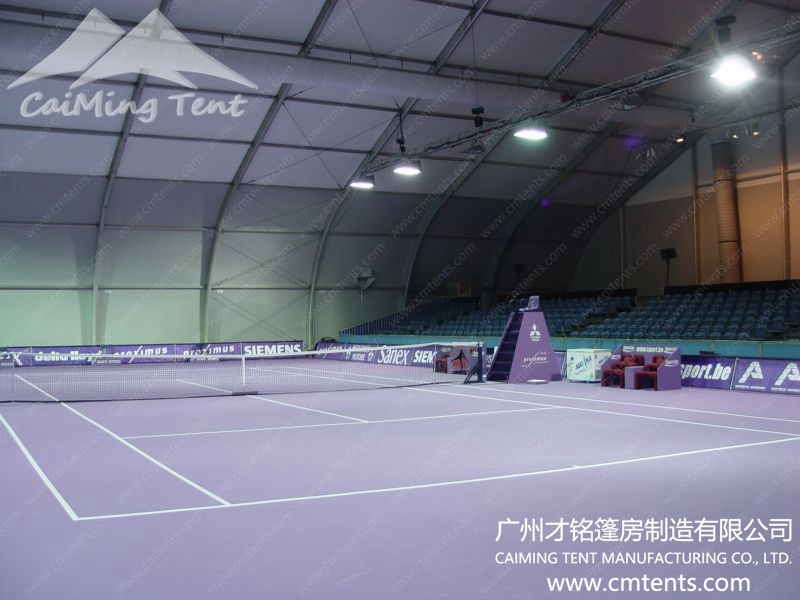 CaiMing clearspan structures can be used for all sports events, local, domestic, or international, for example, World Cup, Olympic Games, Paralympic, Olympic Winter Games, Asian Youth Games, Asian Games, Universiade, City Games, all kinds of ( open ) Championships and tournaments, Abu Dhabi Golf Championships, Wimbledon Champions, America’s Cup Plymouth, etc. 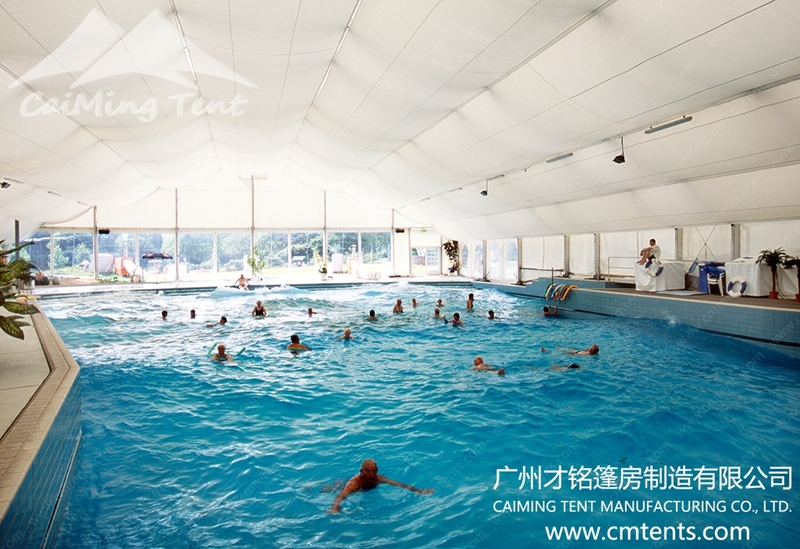 · Our factory operation strictly conducted in accordance with ISO 9001 quality control standards, we own The CE/SGS (TUV) quality management system certificate. 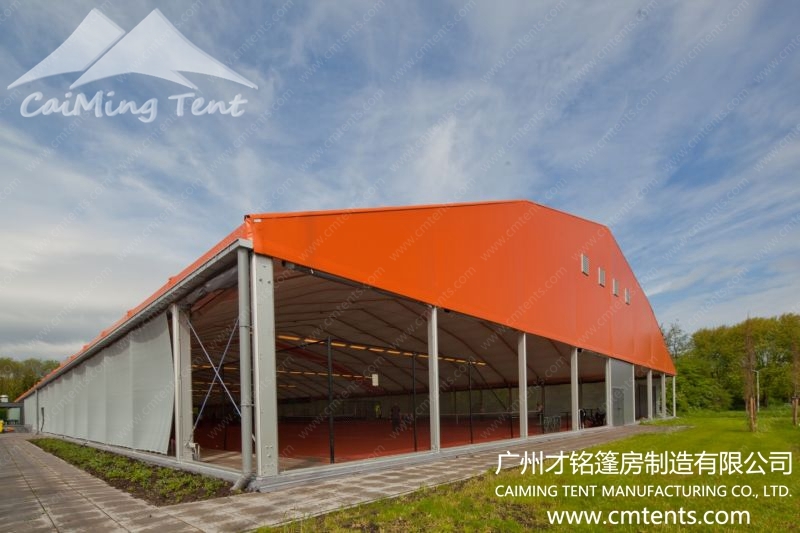 We welcome your visiting to our factory before order, we feedback every producing progress after order, and we do careful inspection before shipment.